Constructing a business website is a big part of every venture. The perfect one is a virtual representation of your company and its values, so why wouldn’t you want to create the best page possible? No matter what you’re looking to do with your website, WordPress can help you do it. 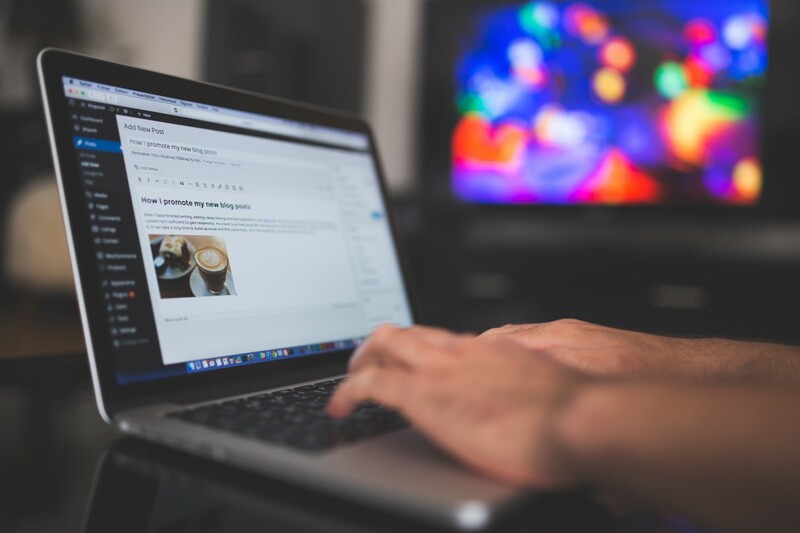 Here are 5 reasons why building your business’ site on WordPress is a great idea. Unlike other website builders, WordPress is free to use and set up. It is also free of any hidden charges, so what you see when you sign up is what you get. And what you pay for (AKA nothing) will never change. The only time you would ever need to pay for anything would be if you choose to purchase a premium theme. Or maybe hire a web designer to create a custom theme or custom features. Regardless of whether you hire anyone or not, the opportunities are endless. Even better, WordPress is an open source platform that’s free of commercial restrictions and limitations. What that means is that you can use the software any way you want and host your business website anywhere you want. You don’t have to fear that changes in WordPress’ business model will affect your website at all. Speaking of custom features, no two WordPress themes are the same, which means no two websites will be the same. You can start your own a blog, custom-build a killer landing page, or even start a podcast or video. Regardless of what customizations you choose for your website, you’re guaranteed to have something unique to you and your business. WordPress makes it easy to optimize your SEO and start seeing customers in your marketing funnel almost right away. Having a successful business website means working actively on SEO and digital marketing, and WordPress makes that aspect quite intuitive. There are many free plugins you can use to optimize each and every aspect of your site and make it easy for search engine bots to crawl the site. From optimizing each page for particular keywords you want to target, to more technical stuff like link architecture and speed insights, you’ll find that WordPress offers a wealth of useful plugins to help you out in arranging your site as good as possible. When you think of creating a business website, you likely think of it as something complicated that requires HTML experience. With WordPress, anyone can create an incredible website, regardless of their experience level, and anyone can edit and manage that website with no issues. All you need is an account (which you can create for free), an internet connection, and some creative thinking. Login with that and you’ll be surprised at the beautiful websites you can create! If you think customers will only visit your website with computers, think again. More and more people are using their phones and tablets to access websites every day, and Google has even begun penalizing sites that aren’t mobile friendly. With WordPress, mobile optimization isn’t something you need to worry about. Nearly every customization the platform offers is mobile friendly, which can have a huge impact on your ranking potential. The more mobile-friendly your website is, the more search engines like Google will reward you and the more likely customers will stay on your site instead of bouncing to another one. This responsiveness also translates into the management potential for your website. The WordPress dashboard is designed to work for everything from smartphones to computers, which means you can edit your website from anywhere and anything with internet connectivity. No matter how you choose to structure your business website using WordPress, you’re guaranteed to create something good. This refined platform is over 15 years old, which means it has had ample time to work out any kinks in user experience. You can’t go wrong with this platform or the options it provides, so what are you waiting for? Roll up your sleeves and get started!